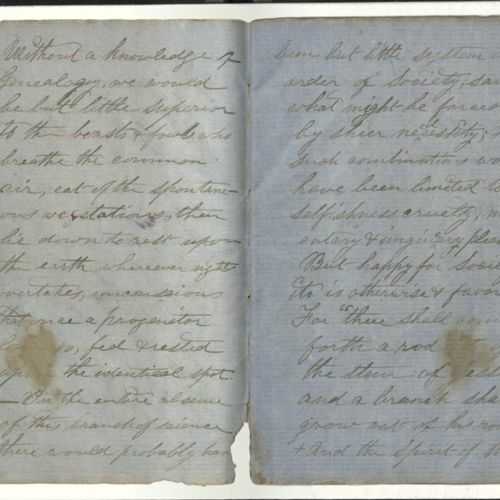 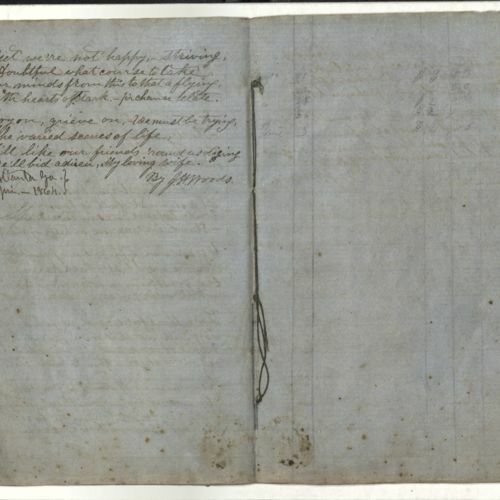 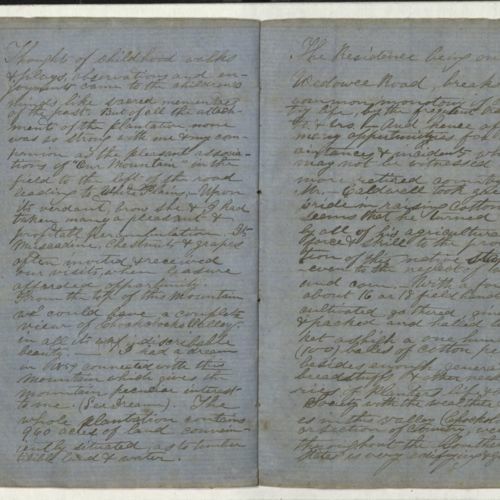 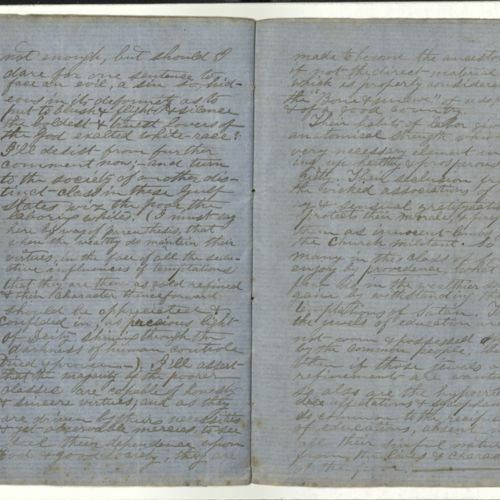 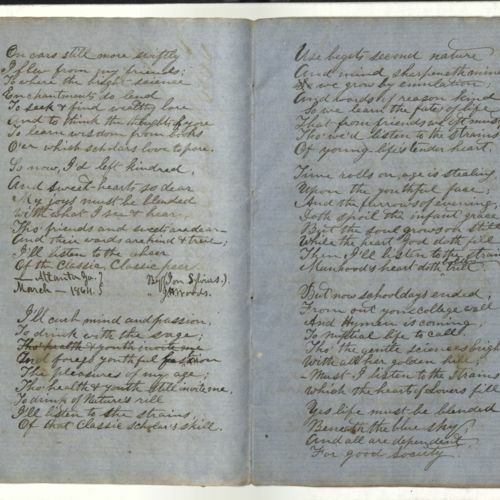 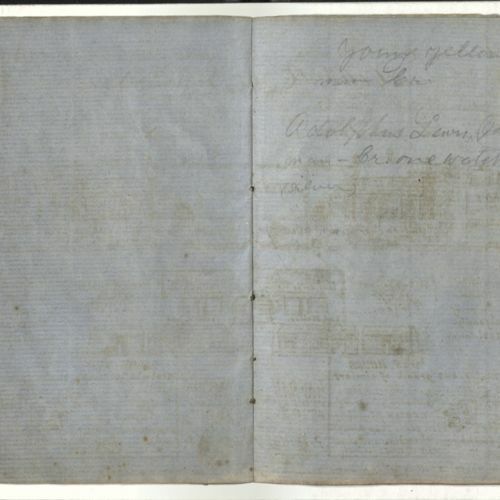 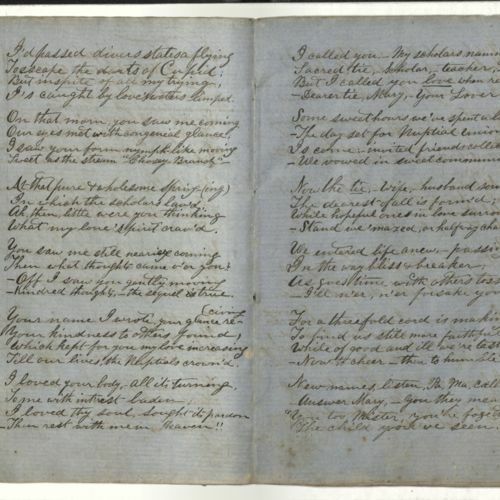 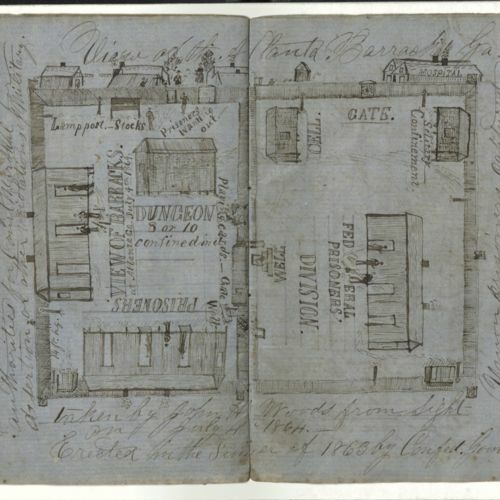 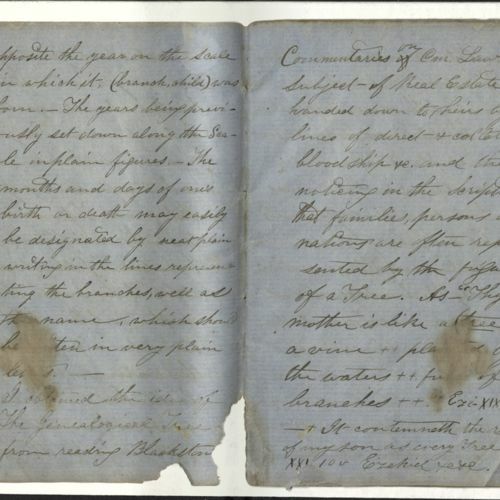 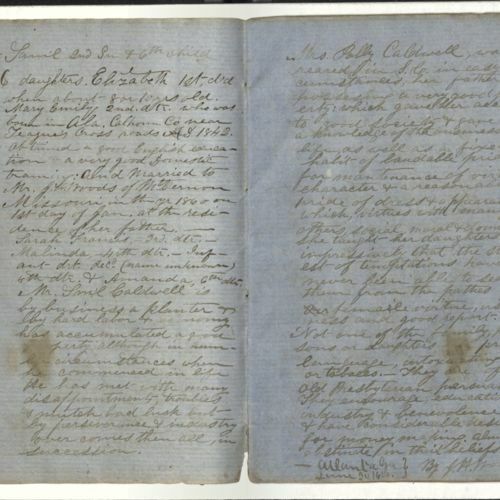 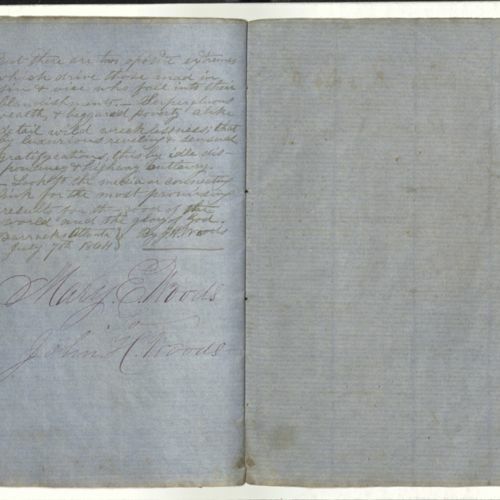 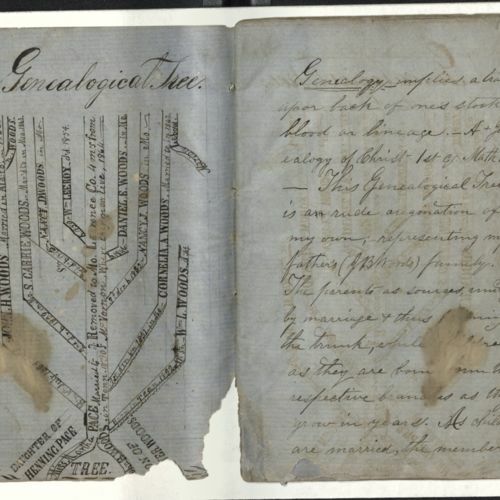 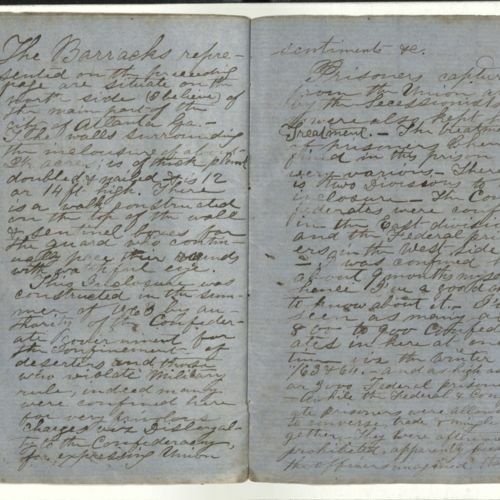 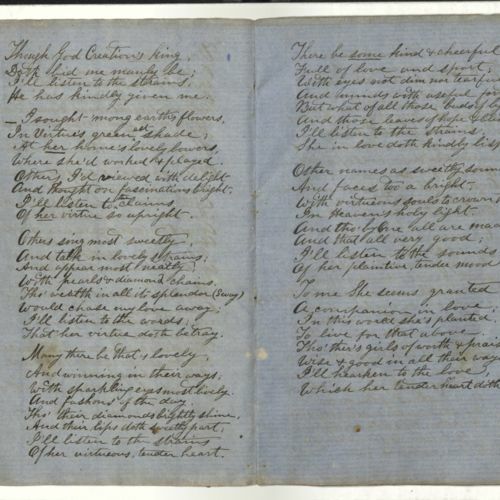 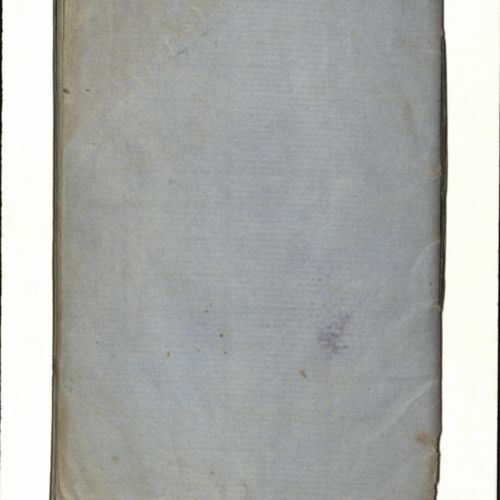 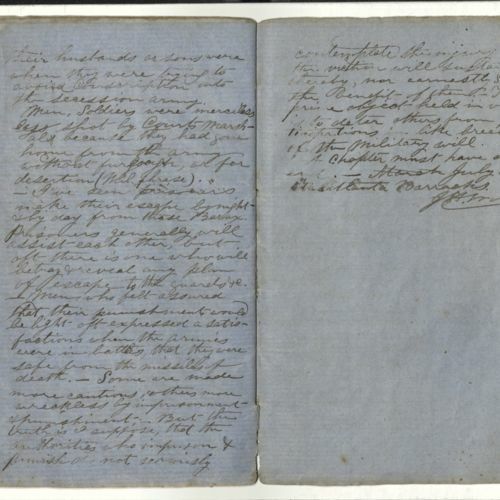 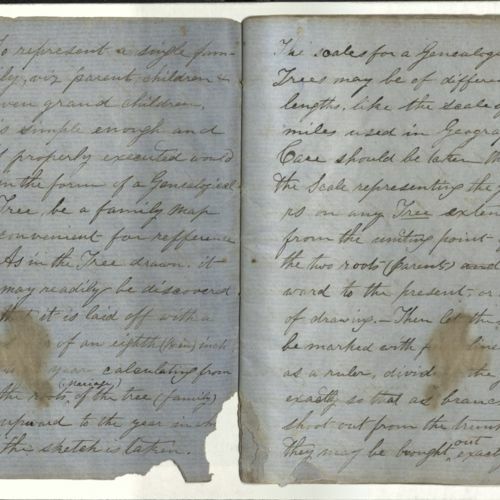 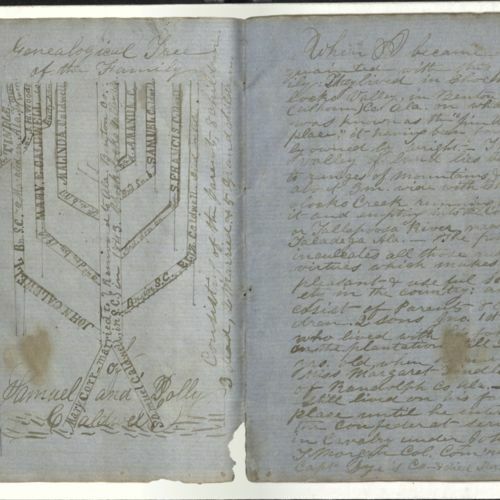 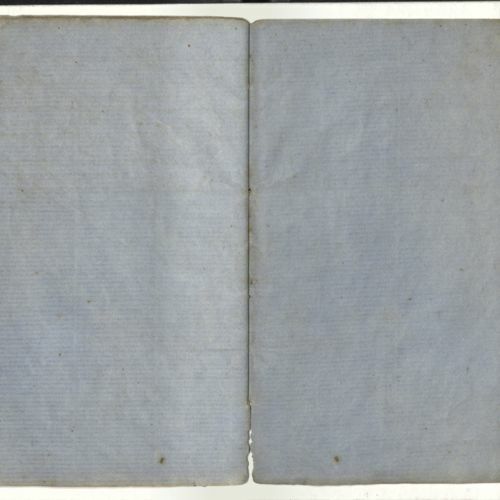 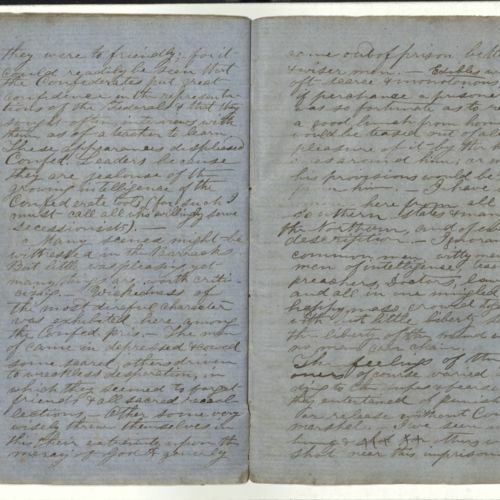 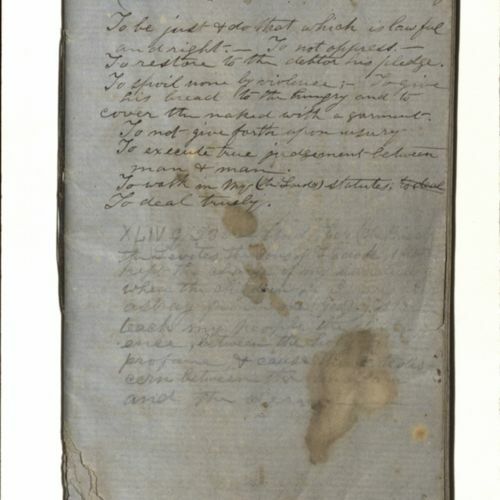 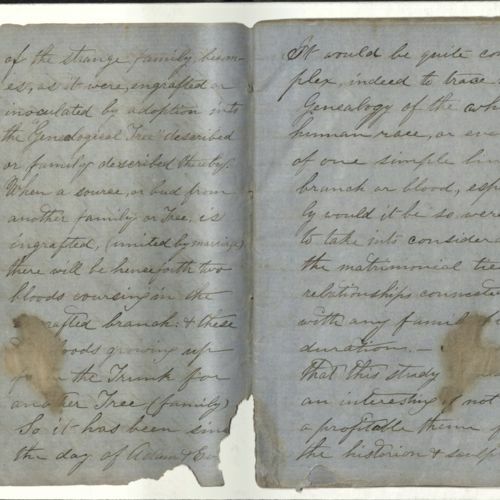 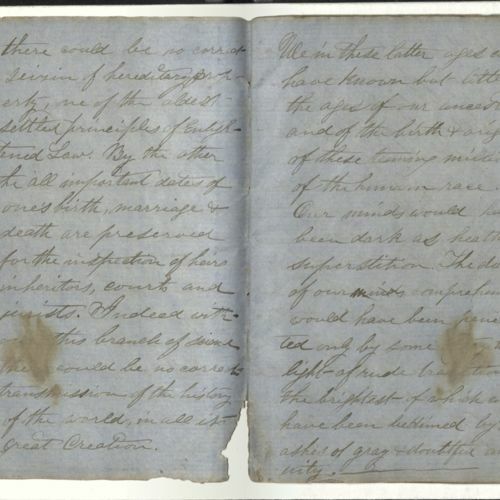 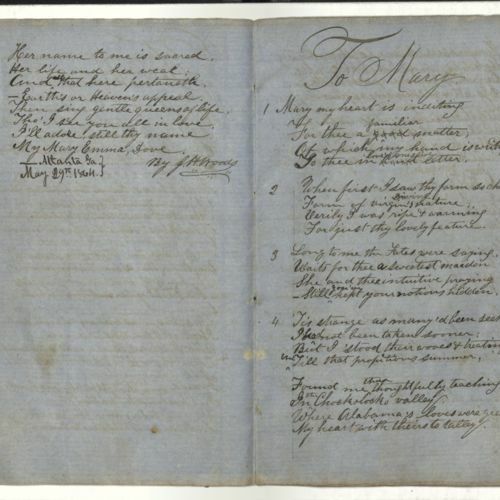 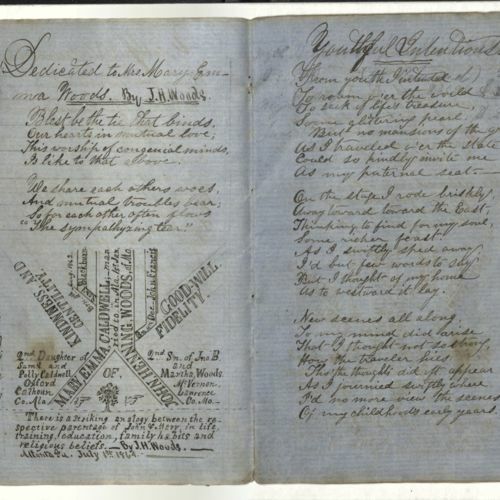 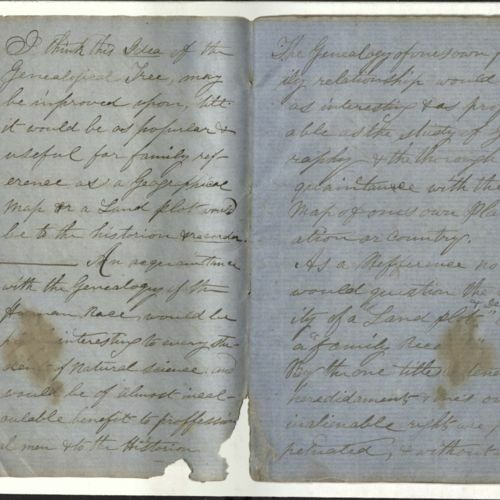 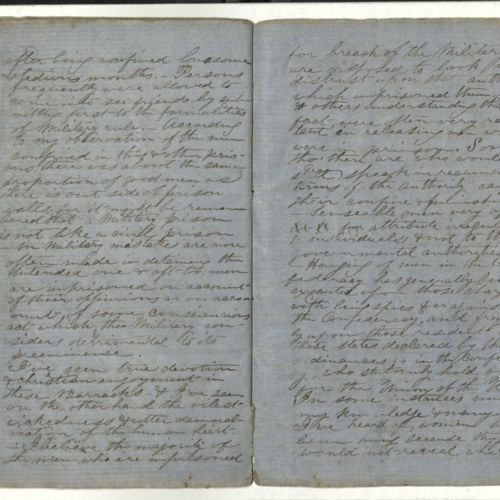 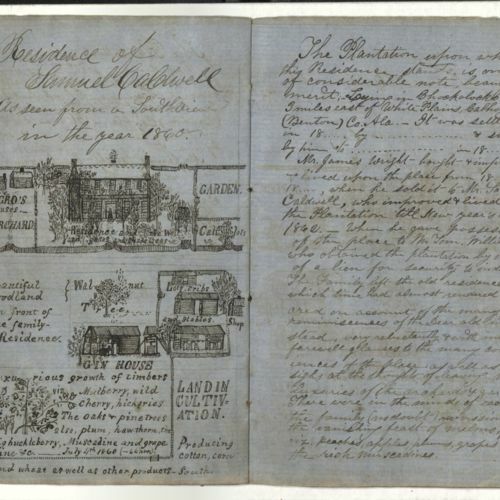 Covering the period of Woods' imprisonment from March to July of 1864, this diary contains thorough entries on genealogy, Woods' thoughts on slavery, poetry, detailed drawings, and descriptions of home and prison. 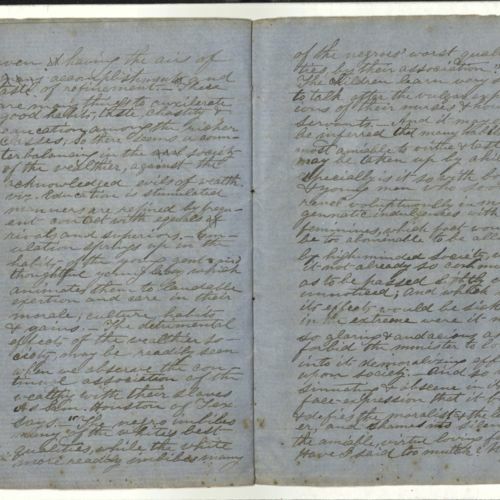 Permission to publish material from the John Henning Woods Papers must be obtained from Special Collections, Virginia Tech. 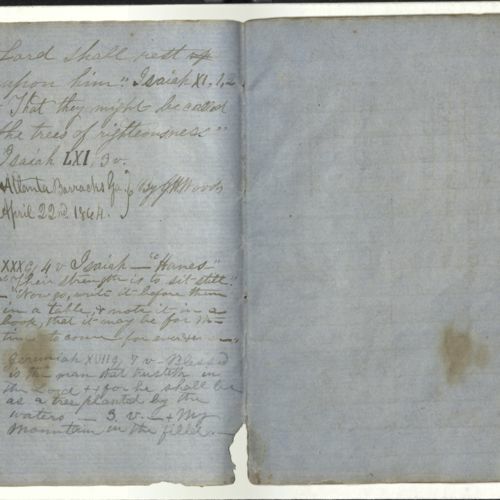 Researchers wishing to cite this collection should include the following information: John Henning Woods Papers, Ms2017-030, Special Collections, Virginia Tech, Blacksburg, Va.
Woods, John Henning, 1834-1901 , “Blue Journal, John Henning Woods, 1864 (Ms2017-030),” VT Special Collections Online, accessed April 23, 2019, http://digitalsc.lib.vt.edu/Ms2017-030/Ms2017_030_BlueJournal.